HALO AI is a train-by-example tissue classification tool underpinned by an advanced deep learning convolutional neural network algorithm. The neural network can handle much more complicated classification tasks compared to other machine learning or pattern recognition algorithms. HALO AI classifiers can be used to find rare events or cells in tissues, to quantify tissue classes and to segment tissue classes for analysis with other HALO image analysis modules. HALO AI is seamlessly integrated with both HALO and HALO Link giving end users an intuitive viewing and collaborative interface for training and using HALO AI classifiers. 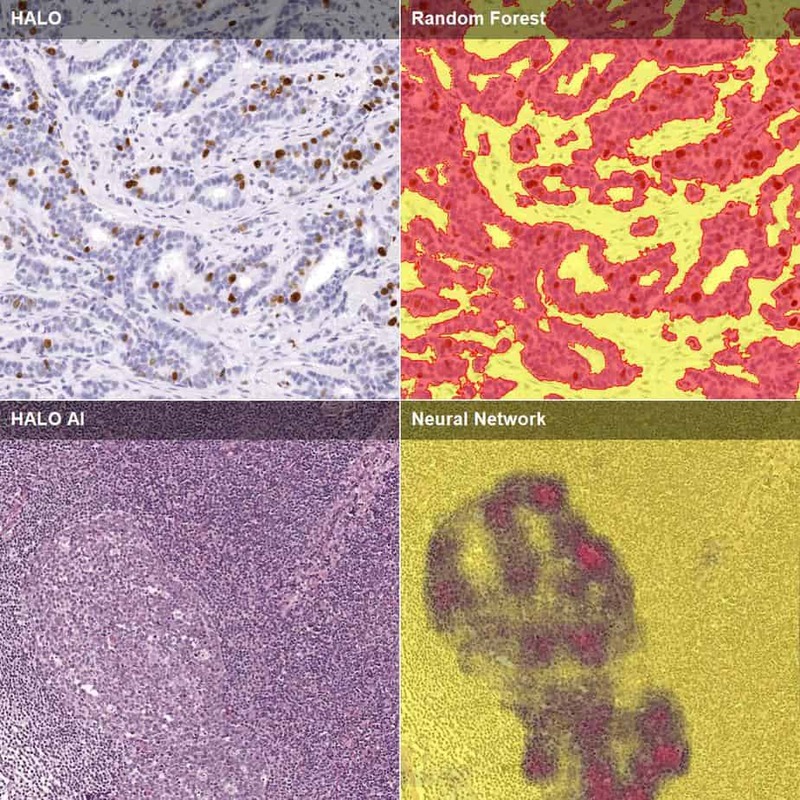 HALO AI puts the power of deep learning artificial intelligence into the hands of pathologists and researchers. Collaboration between pathologists or translational research groups is key to advancing deep learning in digital pathology quickly. To facilitate this interaction between research groups, HALO AI is also fully integrated into our browser-based, collaborative image management system, HALO Link. 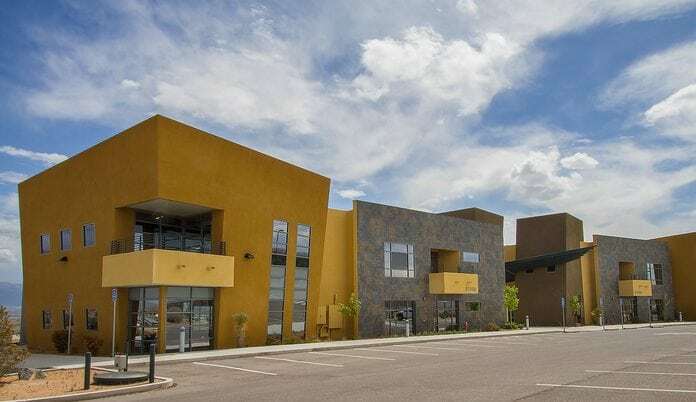 Studies are assigned to remote pathologists who then participate in building HALO AI classifiers by providing their own images to the project and drawing training annotations, nothing required except internet access and a browser. There is also an option to display error rates alongside individual training annotations, so users get immediate feedback on how their training annotations are performing in real-time. HALO AI is extremely powerful deep learning classification tool and the potential applications in pathology are numerous. Here we describe a couple of example applications where HALO AI has excelled. Have other tissue classification projects that you would like to try out using HALO AI? You you can try HALO AI for free using HALO AI CLOUD. 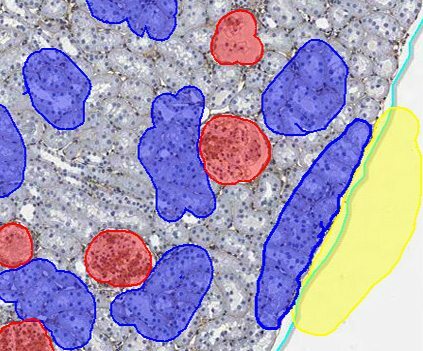 HALO AI can be used to detect different types of cells, objects, tissue types and features across whole slide sections even when the morphology is variable or there is very little color contrast in the staining. A prime example shown here is the detection and staging of metastatic tumor cells in H&E-stained lymph nodes of breast cancer patients which was submitted to the CAMELYON17 challenge. The HALO AI classifier ranked first among all commercial solutions that were submitted prior to the challenge deadline. Click here to download an application note describing the CAMELYON17 project. Glomeruli are notoriously difficult to segment using most machine learning algorithms. Not only did HALO AI work well to segment glomeruli, but we were able to train a single classifier to segment glomeruli across four different stains – H&E, silver stain, ISH and trikchrome – each with very unique staining patterns in the kidney. 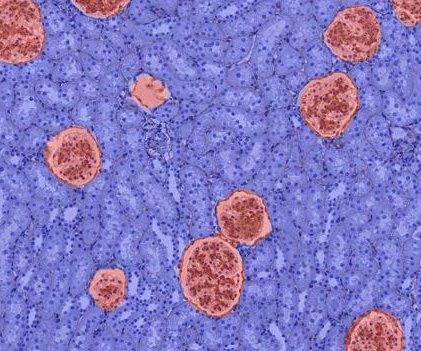 This application highlights the potential of HALO AI in toxicologic pathology, transplant science and in applications involving multiple staining techniques. One of the major differences between HALO AI and other deep learning/neural network platforms is ease-of-use. Pathologists train the neural network by drawing annotations – no computer programming or neural network knowledge required. HALO AI is fully integrated with both the HALO and HALO Link viewers and uses the same three-step workflow as the HALO random forest classifier. Click here to learn more about HALO AI including a full demonstration of the workflow. 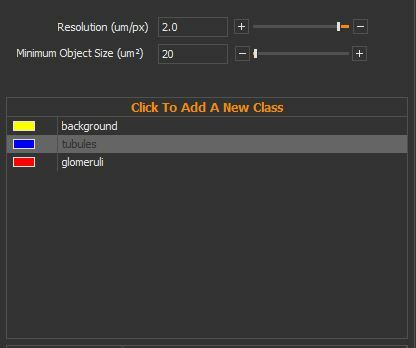 Determine which classes you would like to detect and segment in the image set. Classifiers can include any number of classes. 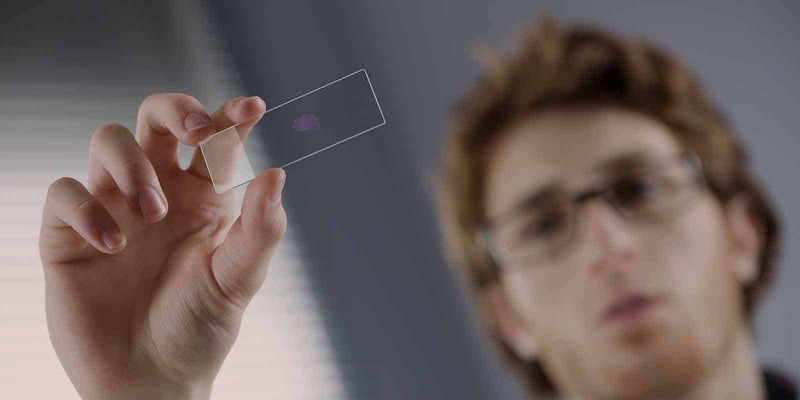 Using the annotation tools in HALO or HALO Link, a pathologist can draw around areas representative of each of the tissue classes defined in step one. After training, classifiers are used to detect & quantify the area of each tissue class or to segment individual classes for analysis with other HALO image analysis modules. HALO AI or HALO Tissue Classifier? Those who are familiar with HALO may be wondering – How is HALO AI different from the existing HALO tissue classifier? After all, both use the same HALO workflow and are used for tissue classification and segmentation. The primary difference is in the underlying algorithm and the applications that work best with each algorithm. The HALO tissue classifier uses a random forest algorithm. Random forests algorithms use a decision tree to determine how each pixel in an image should be classified. Only a defined number of features can be used in the decision tree (we use color and texture), so while random forest classifiers can be created very quickly they do not work well when color and morphology features are variable. HALO AI uses a different type of algorithm called a neural network which ‘mimics’ the neuronal organization found in biological systems – a network of interconnected artificial neurons working together to solve problems. Neural networks can use an unlimited number of features to classify pixels and can handle more training data, so while it takes more time and training to perfect a solution compared to the random forest algorithm, HALO AI classifiers are better for applications where color/texture alone do not easily distinguish classes or where there is considerable variability from tissue-to-tissue. If you are unsure which classifier solutions is right for you, drop us an email so we can advise you or better yet upload some images for testing – an image is worth a thousand words! Top Row: In this tissue, the tumor and stroma are easily distinguished and DAB staining is consistently found only in the tumor compartment. HALO tissue classifier can easily handle tumor detection in this application. Bottom Row: In this H&E image from a lymph node, there is limited color contrast between tumor and surrounding lymph node tissue and considerable morphological variability from one tissue to the next. HALO AI is a much better option for tumor detection in this application. Collaboration between pathologists or translational research groups is key to advancing deep learning in digital pathology quickly. To facilitate this interaction between research groups, HALO AI is also fully integrated into our browser-based, collaborative image management system, HALO Link. Studies are assigned to remote pathologists who then participate in building HALO AI classifiers by providing their own images to the project and drawing training annotations, nothing required except internet access and a browser. HALO AI CLOUD is an AWS-hosted instance of HALO AI connected to HALO Link. Interested in collaborating on a HALO AI project? Request a free trial of HALO AI CLOUD using the form on the webpage.  HALO AI is compatible with all of the file formats that can be used in HALO and HALO Link. Not on the list? Email us your requirements. Fill out the form below to request a recorded or live demo of HALO AI or any of our other products or services. Which of the following products are of interest? Tell us a bit more about your request.